The charity has both a national remit and a local one. Nationally, our Ex-detainee Project provides support and advice via a Freephone helpline 0800 9179397, open five days a week. 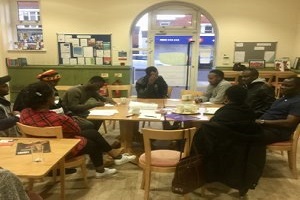 Locally, in Dover, Samphire runs a community engagement project working with migrant and British communities to improve social cohesion, and better inclusion of migrants into Dover and surrounding areas of Kent . 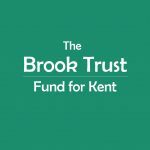 to improve the lives of people released from immigration detention and experiencing destitution in the UK, and to support the development of well-informed, cohesive and diverse communities in the Dover area and beyond. The Ex-detainee Project strives to bring about positive social change for ex-detainees and the communities that they are released into, nationwide. The Project alleviates destitution and provides emotional and practical support to people in crisis via our five days a week telephone helpline. We advise, enable and empower our ex-detainees along with working closely with our partner organisations to help influence the wider debate. 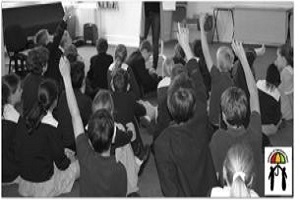 Samphire’s Kent Schools of Sanctuary Project seeks to raise awareness amongst schools pupils on issues surrounding migration, asylum and refuge. We deliver educational workshops and support schools to achieve Schools of Sanctuary recognition, as part of our partnership with the City of Sanctuary movement . This project includes learning, embedding and sharing. Dover Welcome All– Dover Welcomes All brings together local residents to discuss ideas and organise local events which draw together the diverse cultures of Dover and support community cohesion. Volunteers have organised a number of local events including Samphire’s second Multicultural Festival. The project has also helped facilitate a weekly social hub in the Folkestone Road area of Dover, predominantly attended by members of the Roma community. The Community Champion programme offers locally based peer support run by ex-detainees. The programme focuses on holding fortnightly group meetings and raising awareness through establishing stronger links with the local community. The Community Champion Programme began in February 2018 and will be developed throughout the year in four regions of the UK- Plymouth, Rochdale, Middlesbrough and Uxbridge. As a small charity with no dedicated paid fundraising staff your time, skill and most of all enthusiasm to help us raise much needed funds is crucial. Would you like to volunteer for Samphire? Samphire is always on the lookout to recruit new volunteers so please apply. A list of the current volunteering roles can be found here. If the role you are looking for is not listed please still make contact as you may offer something we didn’t realise we need! Every donation to Samphire makes a difference to an individual life. Our Emergency Support and Destitution Fund supports ex-detainees who find themselves without any support, often homeless and without money for food. We also raise funds for our local community activities, for example the material we use for our workshops on migration in primary and secondary schools.